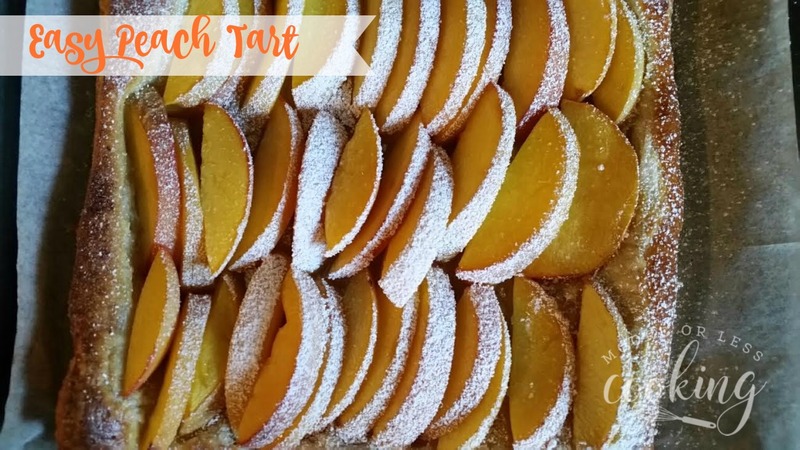 Peach Tart: Easy and delicious peaches in a puff pastry crust, perfect as a last minute dessert. 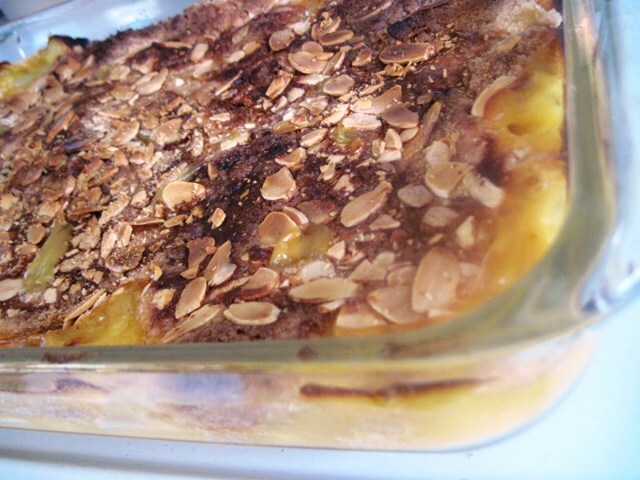 I told you that I was going to make a lot of peach desserts…I warned you! When I ordered the case of peaches from our local Amish Market, I was thinking small case, boy was I wrong… what was I thinking? 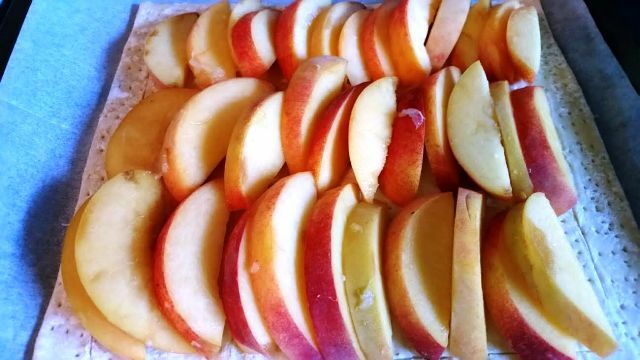 Seriously, these are the biggest juiciest, sweetest peaches! 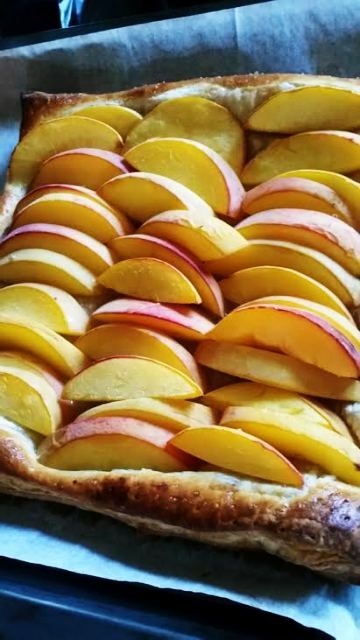 So I decided to make a peach tart! 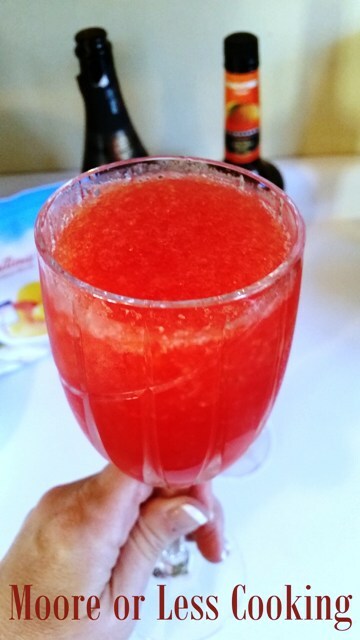 It is so easy to make, you are going to LOVE this! Plus, if you don’t have a lot of time before guests arrive, just take your puff pastry out of the freezer. ( I stocked up because I have lots of coupons! ) Slice up the peaches, squeeze lemon juice over them in a bowl, mix up, so they won’t turn brown. 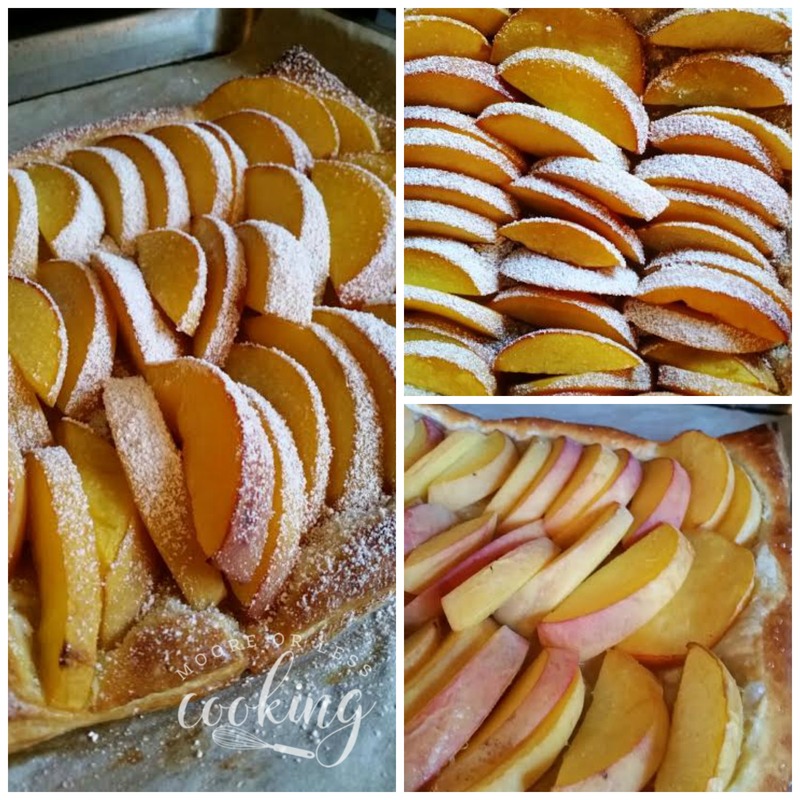 Poke holes in the puff pastry, layer the peaches and bake! Voila! Easy Peasy! 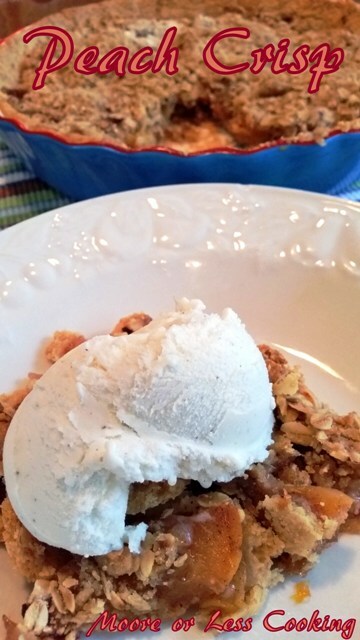 Serve with Vanilla Ice Cream or Whipped Cream! So delicious and the perfect light dessert! Before going in the oven. Edge the puff pastry with a knife, poke holes with fork. layer peaches. After baked! Beautiful! 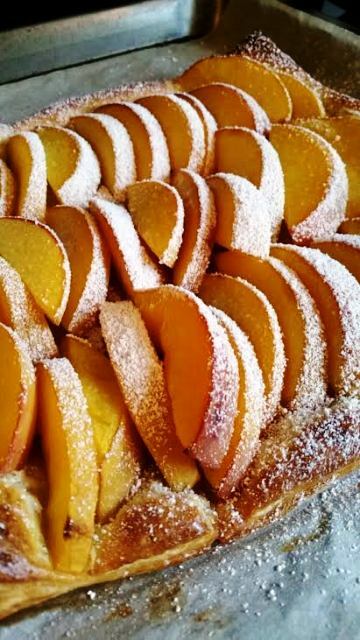 Simple, yet stunning, Peach Tart. In a bowl, toss together the peaches with the lemon juice. Unfold puff pastry onto the baking sheet. Lightly score the dough by cutting a border 1 inch from the edges. Wisk together the egg with 2 teaspoons water in a bowl. 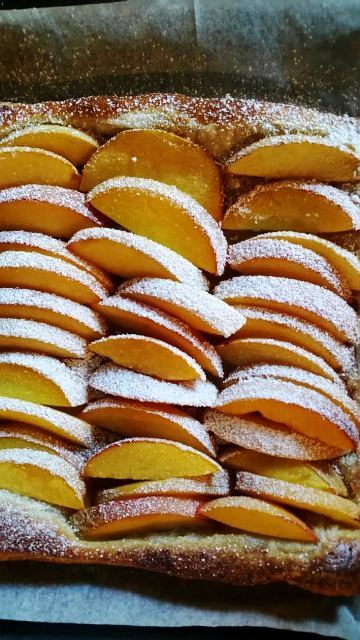 Bake the tart for 15 to 17 minutes until it is golden brown. 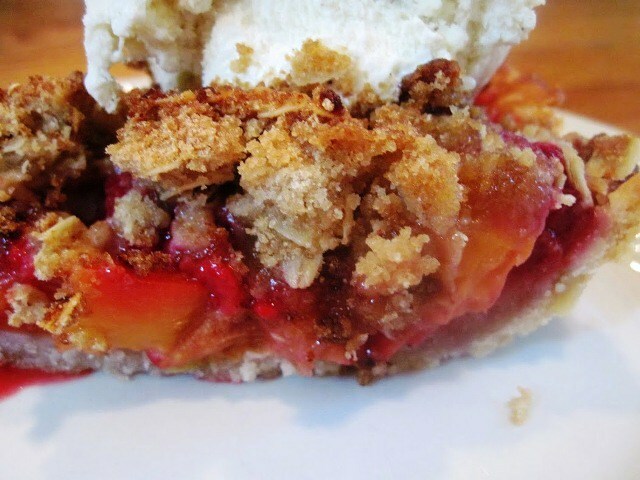 Remove the tart and let it cool slightly then dust it with confectioners sugar and serve. 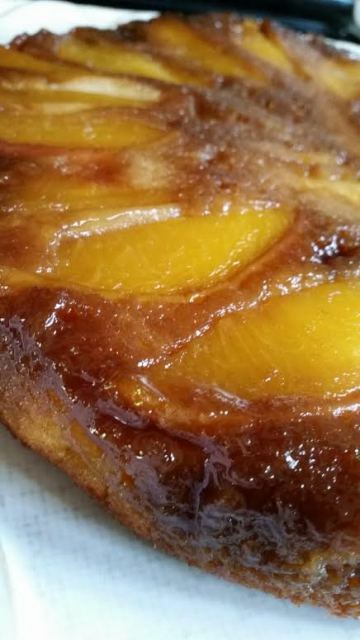 Looking for More Peach Desserts?